For more frequent updates, you can follow our social media. To keep track of all Arisia events you can add our Google calendar. To get your badge, come to the Registration desk, located on the Concourse level, with a photo ID or student ID if you are a student member. Every person registering must come to the desk; we are not permitting pick-up of badges for people not present. There will be line managers available to assist you; please tell them if you have an Access need such as a chair to sit in or additional space for your mobility device or companion. You can check on Twitter for the tag #A18Nolines to get a measure of the current line length. Speaking of companions, we are asking everyone who brings an animal of any sort to Arisia to register them as well. The form for this is at https://www.arisia.org/Animal-In-Tow-Form and if you can fill this form out in advance it will speed you through the line. Otherwise, we'll ask you for the info when you register. Our Managers on Duty will have plastic bracelet-type tags on which they'll write your companion animal's badge number along with your badge number. You then attach this to the companion's collar or similar. For humans who lack ID, please speak to one of the Managers on Duty for on-site assistance or email @email in advance so we can help you get through the process as quickly as possible. This year's Indie*Expo combines the play of 2016's Indie Gaming Expo with the regular Arisia favorite Artist & Author Alley. We will also be featuring some comic authors and artists in keeping with this year's convention theme. Creators and makers of all kinds will be on hand to demonstrate and show off their creations, to teach you how to play their games, to sign things you've bought, and to talk with you about what makes their creations unique and exciting. We encourage you to browse and buy, of course, as well as taking the time to get to know these people and what they have to show. In addition to expanding the types of exhibitors, Indie*Expo has added a second day. It will be open (in Grand Ballroom A) 10am - 7pm Saturday and 10am-3:30pm Sunday. We invite you to do more than sit in a chair for a panel, though those can be a lot of fun too. Workshops - We've expanded our offerings of hands-on workshops this year. This includes several writing workshops, arts and crafts workshops of various flavors, and even a Productivity Journaling Workshop. All Workshops require signup in advance at Program Nexus (Executive Boardroom on 3W). Meetups - Arisia hosts organized meetups for those who share similar interests and identities to meet and interact. Check out https://www.arisia.org/Schedule and select type "Meetup". This year, in an effort to serve more people more quickly, Arisia's Coat Check will have two locations. The main one on the Concourse level will have hours Friday through Monday including late night and early AM. A secondary check will be open in the Marina area (2W) Saturday and Sunday 10A-10P only. A food truck is a quick and healthy alternative for mid-day meals when you don't feel like sitting at a restaurant. This year we'll have four trucks - two at a time - parked down the hall from Registration (Concourse level). Saturday, Sunday, and Monday from 11am-4:30pm. Our returning favorites will be: Baja Taco Truck, Boston Burger, Bon Me, and Roxy's Grilled Cheese. Check out https://www.arisia.org/Food#Trucks for the latest info. Arisia offers a variety of assistance for our attendees. We want our diverse community to include people who need help while attending. Some assistance, such as large-print and Braille copies of our publications, is always available. Others we hire based on the needs people tell us about. Please email @email as soon as you know you'll be attending with an access request and we'll do our very best to help you with things like priority seating, an art show tactile tour, or a free membership for your personal-care assistant. Complete list and details at: https://www.arisia.org/accessibility. If you've met this year's Chair, it's no surprise that his Guests of Honor are people whose work leans to the macabre and fantastical. Victoria is perhaps best known for her Darker Shades of Magic trilogy, and she's written everything from dark fantasy to YA horror, from superhero fiction to Scholastic kid lit. Her characters are fierce and flawed, her worlds are gritty and real, and her prose will draw you in and keep you hooked. In person Victoria is engaging and delightful, whether she's talking about kittens or the proper way to hold a knife in a fight. Don't miss her Reading and Q&A session Saturday at 11:30am in Marina 2 and her signing in the Marina Foyer afterward. Victoria's 2018 is going to be jam-packed with new projects, so we're super grateful that she's agreed to start the new year with us. Arisia is run by fans for fans, and you can help out in big and small ways. Visit https://www.arisia.org/Volunteer to check out our Help Wanted page and fill out the volunteer sign-up form. Or just drop an email to @email with your skills and interests, and we'll get you started. In your Google calendar window or browser tab click the dropdown next to 'Other Calendars'. Select 'Add by URL' then copy-paste the URL below into the box. Click 'Add Calendar'. If the URL wraps on your display make sure you get the whole thing when you copy-paste. 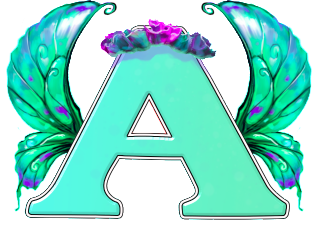 Copyright © 2018 Arisia Inc, All rights reserved.